Though not yet a common practice, some fleets are exploring mobile onsite CNG fueling options, also known as "wet hosing." In this scenario, all vehicles return to the yard in the evening, and a CNG supplier fuels the vehicles overnight. A fleet may choose this option instead of building onsite infrastructure. 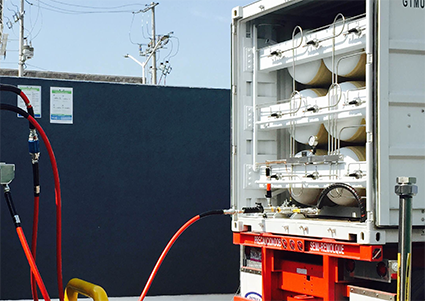 Mobile onsite fueling can also be used as a temporary arrangement when CNG vehicles arrive before infrastructure is operational or when infrastructure is out of service. This option may not be available in all geographic areas. A fleet should consult local code authorities to identify any restrictions to mobile fueling.